Aber klaro liebe Gabi. Dankeschön . Ich wäre auch gern gekommen, war aber im Urlaub. Weird and Offbeat Sites: The Michael Jackson Memorial in Munich. You know how I love to discover weird and offbeat things when I travel. Like when I was in Budapest this past November, I took part in an interactive science fiction performance that involved me running on to a life-sized spaceship . The year before that while in Amsterdam, I spent a feline filled afternoon at a museum dedicated solely to cat art and a cat sanctuary on a boat. 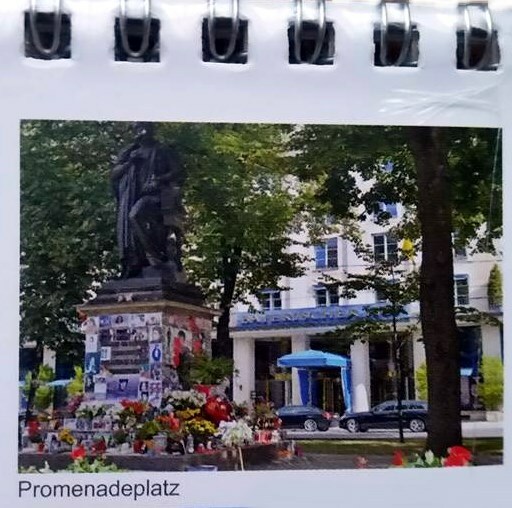 So you can imagine that I was absolutely thrilled when a friend offered to show me a site that she considered weird and offbeat  a Michael Jackson memorial in Munich lovinglymaintained by crazed loyal fans. Not surprisingly, Michael Jackson has fans the world over but whats more astonishing is the lengths that theyll go to keep the memory of their idol. After the King of Pop died in June 2009, ardent fans set-up a makeshift memorial at the base of a statue honouring the Franco-Flemish Renaissance composer Orlande de Lassus. It has since become a pilgrimage site for people to come and offer their respects to Michael Jackson. The memorials adorned with fresh flowers, candles, photographs and hand-written notes. The memorials been set-up across from the posh five-star hotel Bayerischer Hof, where Michael reportedly stayed and fortunately didnt create an uproar by dangling his child over a balcony like he did at the Hotel Adlon in Berlin. pigeons descend upon it, overturning fan offerings and soiling expressions of eternal devotion to Jackson. Despite locals attempts to rid Munich of Michael, the memorial remains. In fact, fan Sandra Mazur has been campaigning the city to build a permanent statue in his honor and has collected donations to fund the project. 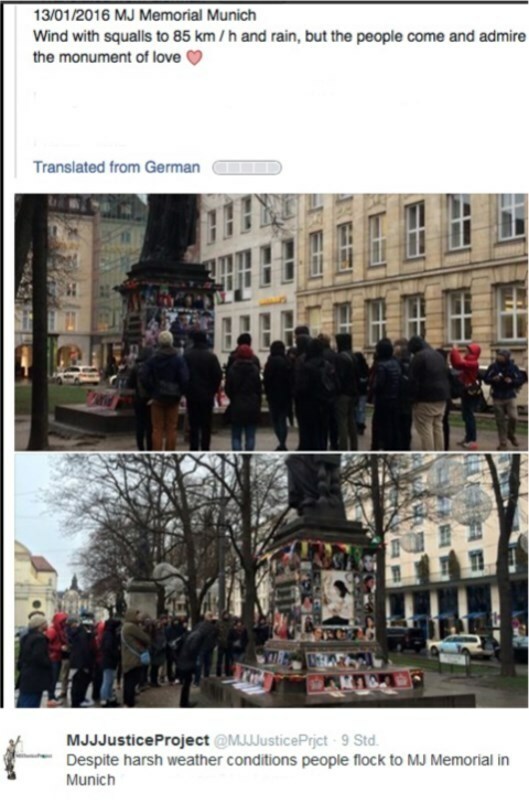 Despite her efforts, city officials arent too keen on the idea saying Munich has a bad case of monument-itis. For now the memorial remains intact and while there you can look at some of the more extraordinary items left to Michael by his fans like Doris. The German text inscribed on the heart in the photo below roughly translates to Youll live on in our hearts or What you have deep in your heart, will not be lost in death. If youre a fan of the bad boy and would like to see a bronzed statue of him doing the moon-walk, head over to Sandras site where you can sign a petition, donate to the cause and spread the word via social media (shes actually set-up a non-profit association). And if you hate the idea of the memorial or the statue, you can always plant bird feed. Love or hate it, this memorial is something worth checking out. It even got noticed by fellow travel enthusiast Rick Steves earlier this summer who could barely get through his video without laughing. was war das für ein stets gefüllter viel begangener Thread. 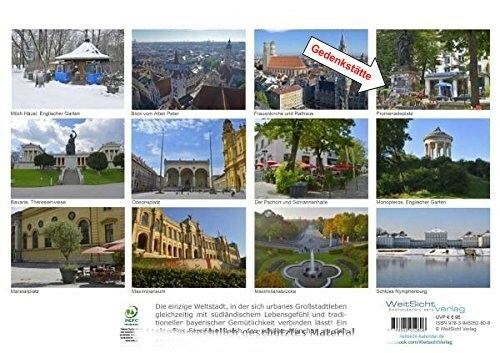 Ich erinnerte mich neulich an die aktuellen Fotos, die wir zu sehen bekammen. Mich interessiert in der Tat, wie sieht es dort heute aus? Wird die Stätte noch gepflegt und beachtet? Das ist die Seite von "dem Verein".